 The Monthly Latin Mass in Knock was an initiative of Archbishop Michael Neary and was established by him in 2011 in response to the pastoral needs of people wishing to worship according to the earlier liturgical norms. It is based on Summorum Pontificum of Pope Emeritus Benedict XVI and a stable congregation of 110-120 people has emerged. Knock is the only Major Marian Shrine in Europe to hold a regular Latin Mass and credit is due to both the late Mgr Joe Quinn and to his successor Fr Richard Gibbons for facilitating this. The National Traditional Pilgrimage to Knock will take place on Saturday, September third, comememncing with a Missa Cantata at two pm followed by Stations of the Cross and Traditional Benediction. In line with the wishes of archbishop Neary all tradtionalists in good standing are invited to attend. The next Latin Mass in the Old Rite ( Tridentine) will take place in the parish church Knock on Sunday September the eleventh at five thirty pm. The Old Rite Mass is celebrated in the Shrine once a month and has a stable congregation of over 100. All welcome.